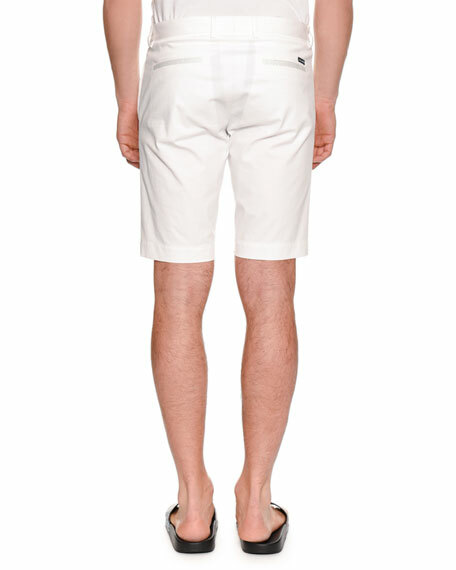 Dolce & Gabbana shorts in solid denim. Dolce & Gabbana boxer shorts in jersey-knit. Elastic waistband with logo detail. Self and gusset front. Cotton/spandex. Made in Italy. Dolce & Gabbana sweat shorts with back logo detail. Elasticized, drawstring waistband. Side zip pockets. Back zip pocket. Pull-on style. Dolce & Gabbana sweat shorts with back logo detail. Elasticized, drawstring waistband. Side zip pockets. Back zip pocket. Pull-on style. Cotton. Made in Italy. 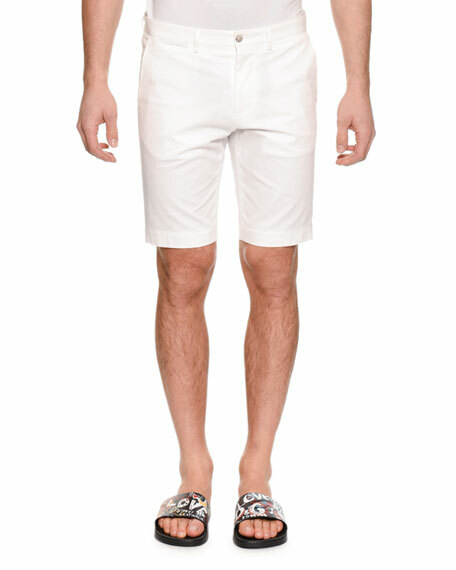 Dolce & Gabbana sweat shorts. Striped, drawstring waistband. Front hem logo-print. Zip pockets. Relaxed fit. Calf-length. Pull-on style. Cotton/polyester. Made in Italy.